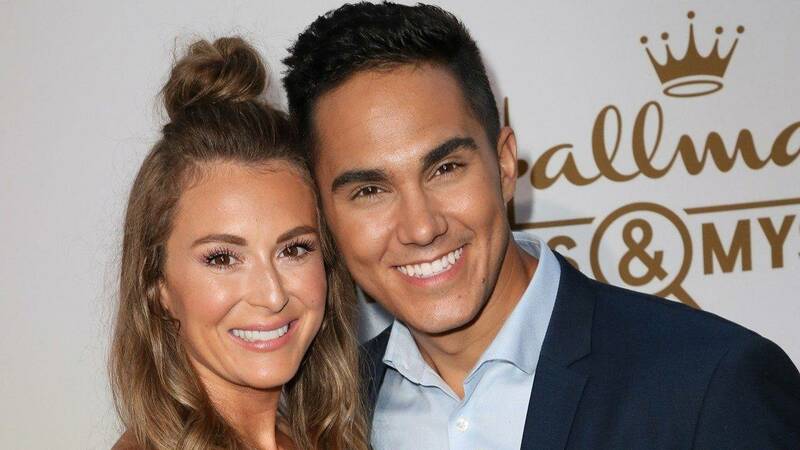 Congrats to Alexa and Carlos PenaVega! The actors are expecting their second child together, they announced on Instagram on Thursday. "Holy Moly!!! Guys!!! We are having another baby!!!! Do we wake Ocean up and tell him??!!" Alexa captioned a photo of herself and Carlos excitedly holding their pregnancy test up, while their 2-year-old son, Ocean, sleeps in his stroller. "Beyond blessed and excited to continue growing this family!!! Get ready for a whole new set of adventures!!! #ClearblueConfirmed #ClearbluePartner." Carlos also shared the news on his Instagram alongside a pic of himself and Alexa showing off their sonogram. "It’s HAPPENING... AGAIN! WE’RE HAVING ANOTHER BABY!!! 2019 another PenaVega is joining the family! This year we will officially be able to say we have “kids”! Our minds are blown and we are beyond blessed and excited for our growing family!!! Let the journey begin!!! #ClearbluePartner #ClearblueConfirmed." Alexa, 30, and Carlos, 29, married in 2014 and welcomed Ocean in December 2016. During a 2017 interview with ET, they opened up about how they've found a "deeper connection" with each other through parenthood. "He’s really just become a part of what we’ve always done and not much has changed there," Alexa said. "You just get a lot less sleep. But I just feel so much more love now. I’ve become so much more emotional about things. I have a deeper connection with Carlos just because of Ocean." "I appreciate my parents a lot more too," Carlos revealed. "Because you see how much time and effort you have to put into this new human, and then they're off at 20, doing their own things, and you're like, 'Make good decisions!'" The couple also discussed why they decided to move from Los Angeles to Hawaii and raise a family in Maui. "I’d much rather raise a little island baby, not that you can’t raise a baby here in the city," Alexa revealed. "We’ll be outdoors, not hooked to the phone all the time. I’m thankful for social media because it’s given us such a great platform and it’s a way to communicate with your fans and other people out there, but the importance for us is family first, so we really wanted to kind of get off the grid a little bit whenever we’re not working."